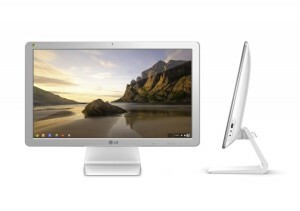 The new Chromebase by LG shall be revealed on CES 2014, hoping to get a break through for consumers stacked under hotels, educational institutes (mainly schools) call centres and such segments where there’s a high need of a digital kiosk. The reason we have identified it as a digital kiosk is because of it’s feature set at a very basic level. Such a basic level that it’d be joke of the year trying Chromium OS download on LG’s Chromebase. – Display: 21.5 inches – 1920 x 1080 HD display. – Connectivity: 1 HDMI port, USB 3.0 port at front, 3 USB 2.0 ports at rear & LAN ports. Quiet evidently based on specs, even the kids at home won’t be enjoying the new purchase (they might if the display appears to be touch-screen and they keep tapping it without knowing what exactly is happening). As an overall package, the all in one desktop pc will be equipped with a keyboard and a mouse and the aforementioned specs for LG’s Chromebase may not take it to the qualifying table of the best all in one computer, but based on the initial pricing (speculated) of somewhere around $300 – $400, it may be the best all in one pc for the stated target market.